These are some of the benefits of having a Facebook business Page. 1.19 BILLION USERS. Do I need to say more? If your business can’t find new customers on Facebook, I think you should rethink your line of work. It isn’t enough that people like your page. 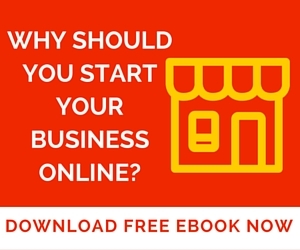 It isn’t enough to provide you with a long- term, sustainable business. Sure you can make a good living short-term off just using your Facebook page. But what if Facebook does actually disappear one day? If you haven’t made a connection with your followers outside Facebook, then you’ll be in trouble. That’s why smart business gathers leads in the form of email addresses – so they can contact their community outside of Facebook. Most do this through contest, giveaways and newsletters – and its proven system. Starting a Facebook business page cost you exactly $0. Sure, you may pay a graphic artist to design a profile picture and cover photo – but that’s not a necessity. Simply using photographs you take of your business will work – and in some cases that’s better than a creative image from an image from a designer. Facebook ads are relatively inexpensive when compared to traditional print, radio or TV ads – and are 1,000x more targeted. Maybe not, but targeting your ads to people interested in your page’s topic you can definitely keep costs low. As I’ve said above you can able to get inexpensive like by targeting your ads. If you run an ad on TV, during say an airing of “Seinfeld.” You’d be hard pressed to know with certainly whether your ad targeted the right kinds of people for your business. With Facebook ads, you can be certain – if you target the ad correctly. You can dig around and find out how specific posts are performing, the demographics of your fans, etc. The results provided are usually sufficient. Compare this to running an ad in your local paper. Are you given any such stats as to how many people visited your store/website based on the ad? NO! Besides being a place to build a customer base and sell products, a Facebook business page can do wonders for helping you build brand loyalty. What does it exactly means? Well, if you consistently provide valuable and entering content, your followers will stay loyal – even when you make mistakes. Owners of smart Facebook page use their pages to drive traffic to their websites. If all you’re doing on Facebook is getting engagement on your posts, then you’re really just an entertainer—not a marketer. So start using link posts to drive traffic to your site. SEO and Facebook topic gets debated quite a bit. Some argue that the information in the about section of a business page is scraped and thus searchable by Google. It’s hard to accurately verify or dispute this claim. Our Facebook page shows upon page 1of the Google search results. The great thing about a Facebook page is Facebook does the heavy lifting for you, optimizing your page for both desktop and mobile devices. If you look at the pages to watch and see a page has exploded and gained lots of new likes, you can visit that page to see what they’re doing right. Perhaps a post had huge success and you can copy what they are doing on your page to gain more likes.